Perfect 1 bedroom apartment on lower 5th Avenue in the sought after full service Brevoort Co-op. 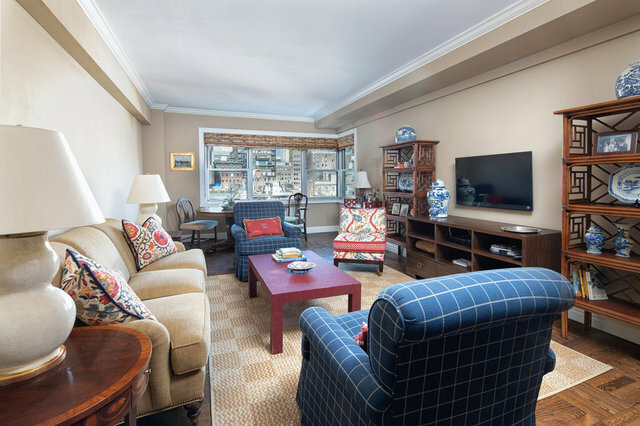 A gracious entry foyer and a large living room with east and north facing corner windows showcasing views of charming tree lined 9th Street are two of the wonderful attributes of this pied-a-terre or full time home. The beautifully renovated and efficient kitchen has marble countertops, Ann Sacks tiles, a deep stainless sink and high end appliances and the marble bath is perfectly situated in the hall just across from the bedroom. The spacious north facing bedroom is quiet and bright and has a big dressing closet. One can move right in to this beautiful home and start enjoying life in vibrant Greenwich Village, a neighborhood brimming with top restaurants, shopping and Washington Square Park! The Brevoort at 11 5th Avenue has a full time doorman, concierge, resident manager, driveway, garage, gym, laundry, bike room & storage. Pets, co-purchasing, pied-a-terres and washer/dryers allowed with board approval. Financing up to 60% permitted. For questions or appointments please click on seller's agent info.